This picture was shared by Teri Savelle Foy and as I was on a "mini" vacation, I felt it appropriate. Anyone who knows me, knows that I have worked from home since 1997. It requires focus, dedication, goals, and thick skin. I do several businesses and I do them all from home or any location that I am. So many people start a business and when it does not become successful instantly, they quit. If people do not like a post or purchase whatever you are selling, you get upset. You have to market and brand yourself first. People will buy whatever you offer, if and only if, they like you. In any business, you have to have a plan. You have to work your plan. Interruptions have to be kept to a minimum. People will often call on you because they know you do not work a "typical" job. I will help anyone I can but they have to fit into my schedule. I schedule a year in advance. You will rarely find me without a planner close by. I schedule time for family appointments, reunions, and anything else personal as well as my business appointments and calls. 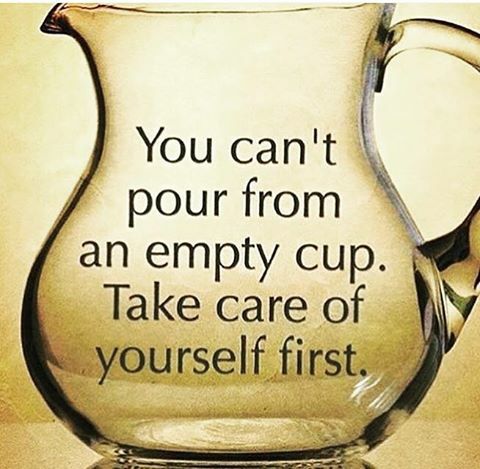 You also have to take some time out of your days to take care of yourself. Schedule 30 minutes each day for devotions, yoga, a walk, whatever you need to be focused and productive. I find that my travel time in the car is great for listening to motivational CD's or an audible book, so on my trips to meetings for business I always go prepared and always learn something. Stay away from negative people. Some people are NEVER happy and blame their lack of success or unhappiness on everyone else. They do not look in the mirror. There is always room for self growth. If you unfollow and steer clear of negative people, life is so amazing. Start a journal. There are so many amazing inexpensive ones available. Simply share your thoughts and ideas. You can go back and read it later. It helps in so many ways. Go for a walk. Join a class for painting or something you enjoy doing. Simple things can make BIG changes in your life. Just start slow and see how much your life changes.